For today, we are going to review the Arctic White Shaker kitchen cabinet from Kitchen Cabinet Depot. It’s a cabinet that does not contain many extras but relies on his solid construction. 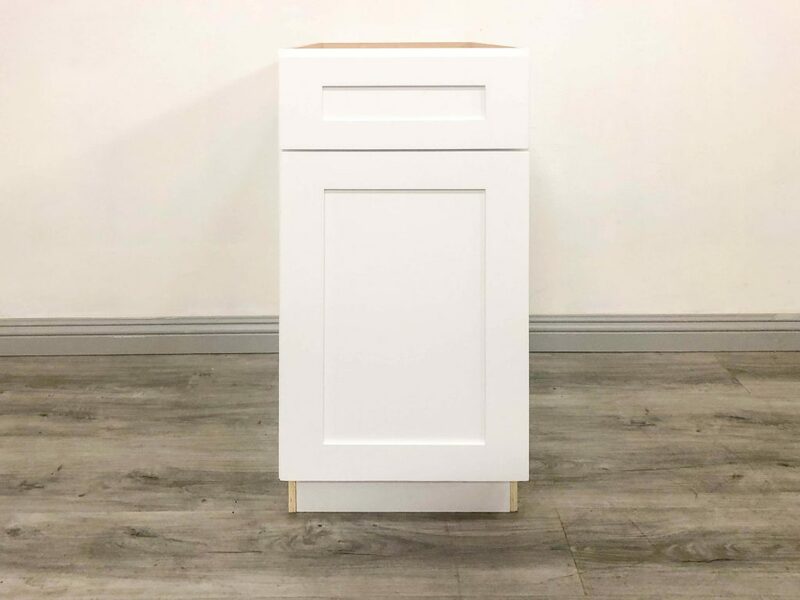 However, is this basic cabinet solid enough to be worth your money? Let’s take a look. Of all the parts of the Arctic White Shaker package, the door and the frame were the best packed. It feels fairly sturdy and made of composite wood, which is pretty standard in several RTA cabinet doors and frames. Looking at the door, it is definitely the most attractive part of this entire cabinet. The painted surface is smooth and even, no visible wood grains and not even a single crack. 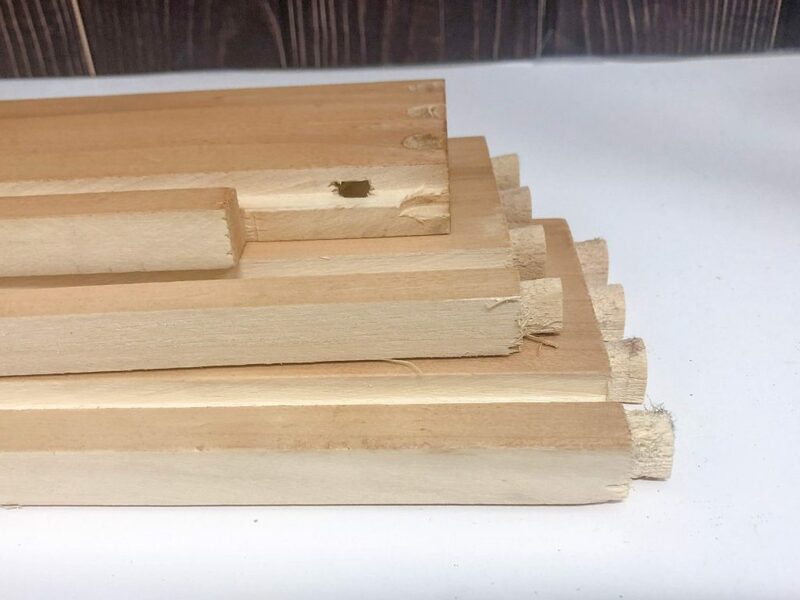 Looking at the construction of the door, there is definitely an inner rectangular panel, which is typical of the shaker style, that is also painted and blends in with the rest of the door. 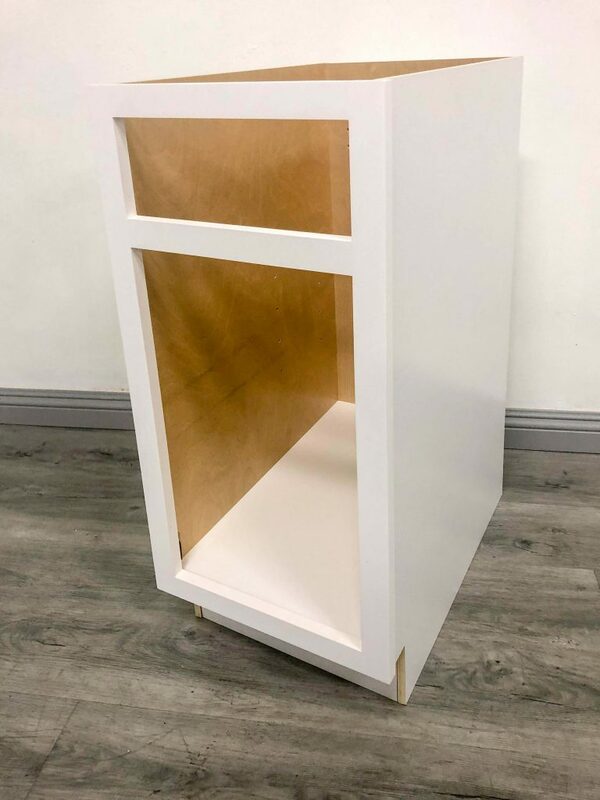 It’s interesting that the manufacturer decided to make the cabinet interior a natural light pink wood color but made the bottom panel of the cabinet interior, the same shade of white as the exterior of the cabinet. While it technically ties the whole cabinet inside and outside together, it’s jarring to see a single large panel painted a different color from the rest of the interior. The interiors are well-laminated and smooth to the touch except for the bottom panel again which does not feel as smooth. Not by much, but it is noticeable. The Arctic White cabinet box panels are about a ½ inch thick, so it’s already of average quality when it comes to an RTA Kitchen Cabinet. It is quality plywood, but there’s nothing else outstanding beyond this. 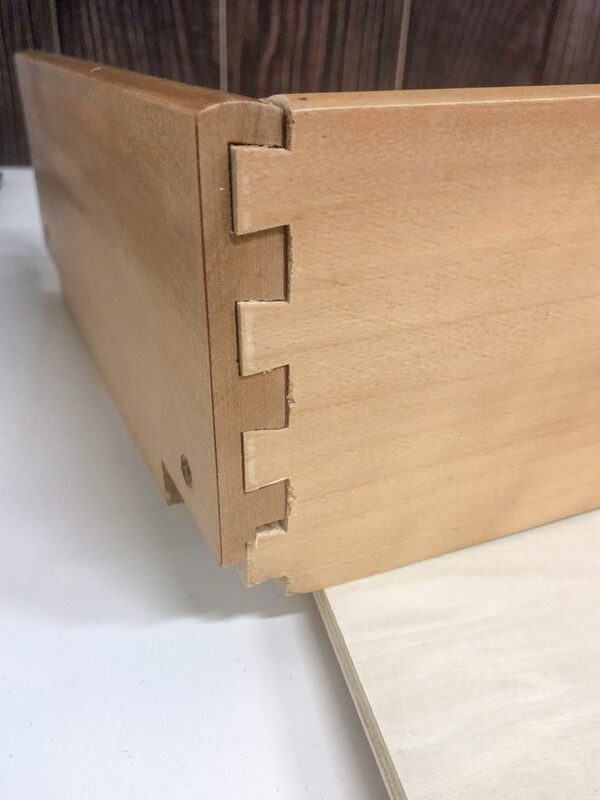 This has got to be the ugliest dovetail joint I have ever seen. The teeth of the connectors are breaking apart, not to mentioned chipped and even splintery. When the pieces go together, there are even gaps in the teeth. I cannot comprehend who lets this quality go out like this. 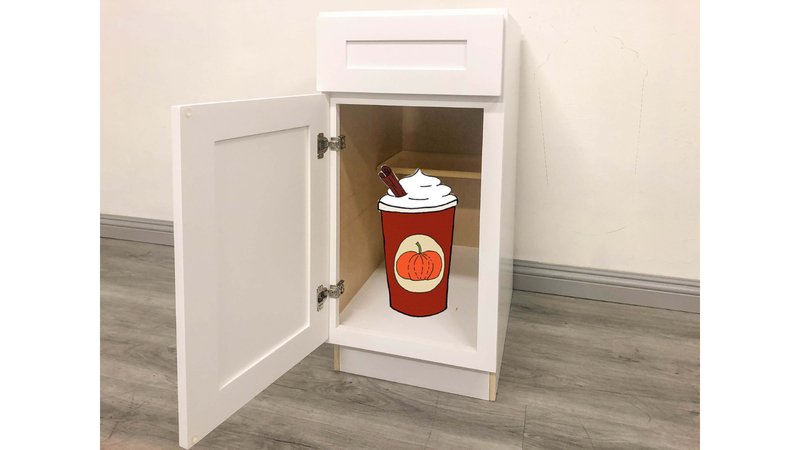 The bottom of the drawer has a nice grain detail, but it is a pale wood that doesn’t match any of the interiors of the rest of the cabinet box or the exterior of the paint of the Arctic White Cabinet. Aside from this, the drawer sides are slightly bigger than a ½ inch (about 9/16th of an inch) and a slim bottom so while functional, this is pretty much trash. This is a framed cabinet with the door and drawer in a partial overlay in front of the frame. There is an adjustable shelf that initially looks like a half-shelf, but the length is even less than half. I’ve noticed that it does a bit of time to get it to sit nicely on the shelving pegs; it’s very important to get those pegs firmly in those holes. The drawer depth is three-inches deep, which is pretty standard and fully extends without the fear of falling out. So far, this is pretty conventional for the storage of an RTA kitchen cabinet. The hinges of the door fit nicely into the door and can be attached to either side of the door frame of the cabinet. But the hinge does not have a soft-close mechanism that many of the nicer cabinets have so this is your basic model. The drawer slides are mounted beneath the box, although the instructions did not give any clear directions on how they mounted. There are brackets that secure the drawer slides with roller wheels to the back of the cabinet box. 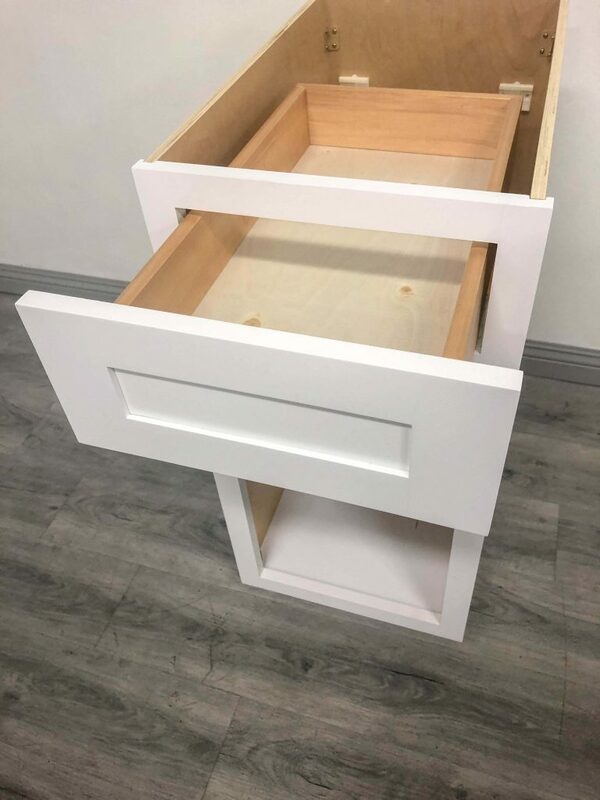 There is no soft close mechanism for this drawer, although the drawer can fully extend and there’s enough of a gap so the drawer does not slam all the way into the back. But the lack of a soft close will cost the cabinet some points. 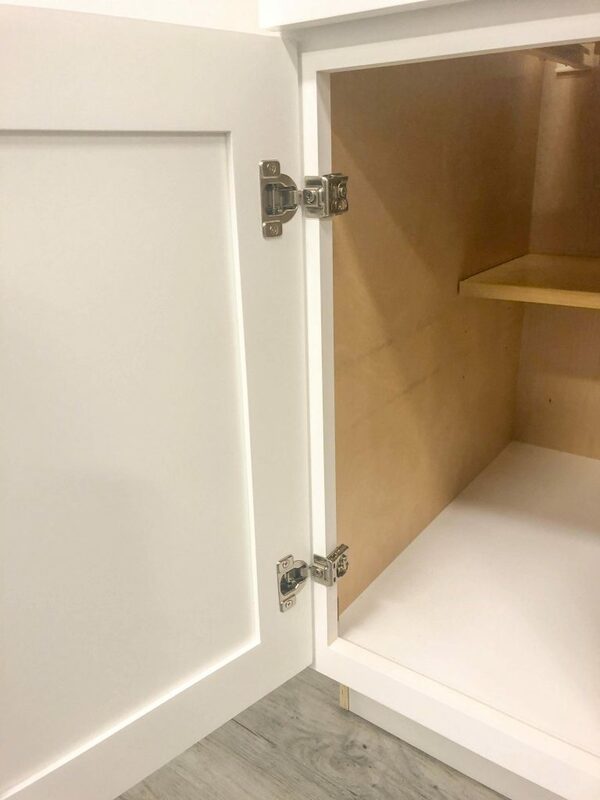 The provided furnishings such as the screws and the hinges seem pretty secure; none of them broke or even stripped while screwing together the cabinet. There were plenty of furnishings leftover, so for a moment, I thought I was missing some areas that I needed to secure. But they just happened to be extra fasteners and that put my mind at ease. If anything, the panels were more of an issue; many of the boards did not have any holes to indicate where you should screw and a few of them were misaligned. When the package arrived, it looked slightly lumpy from the outside so I was afraid something inside had been compromised. I am giving it a slight benefit of the doubt because this package was delivered during rainy weather but the real test would be what the pieces looked like when I opened it up. Already, there were a few loose pieces and large cut that peeled through the paint on one of the panels. This damage on the surface looks so bad that a customer would have been in their right mind to ask for an exchange. There are instructions with very tiny details included and all of the fasteners and smaller connecting pieces were shipped in smaller boxes. There was at least some foam and bubble wrapping and a decent fitting of the pieces in the box, but it looks like two people put together this package: Someone who took good care to pack the panels along with someone else who was in a hurry to get the box out of there. 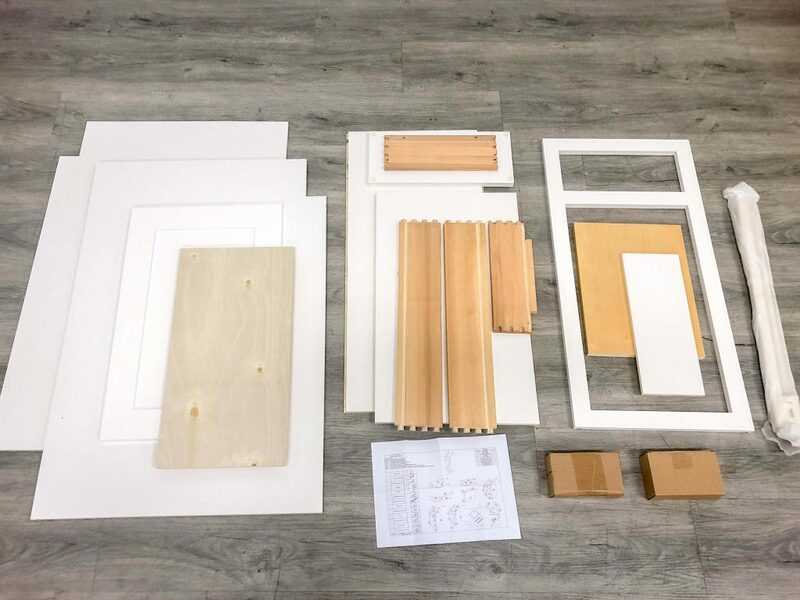 This kitchen cabinet was only difficult to assemble because the instructions were poor and even faulty (one of the diagrams mislabeled the panels and the instructions for the drawer slider mount assembly was very confusing). Without holes to indicate the proper areas where to screw in some panels, affixing some of the cleats to stabilize the cabinet box was a challenge. But it was not impossible as there was a logic to putting all the pieces together. When I called on the phone, it took me to an automated line where there were a few options, one specifically for lead time, one for shipping costs and the final one for general questions. It took about two and a half minutes before I talked to a live person, but she was helpful with a polite tone to her voice. They have a live chat link on the Kitchen Cabinet Depot website and the person on the other end of the customer service chat answered my questions promptly (and it only took a couple of minutes to wait). 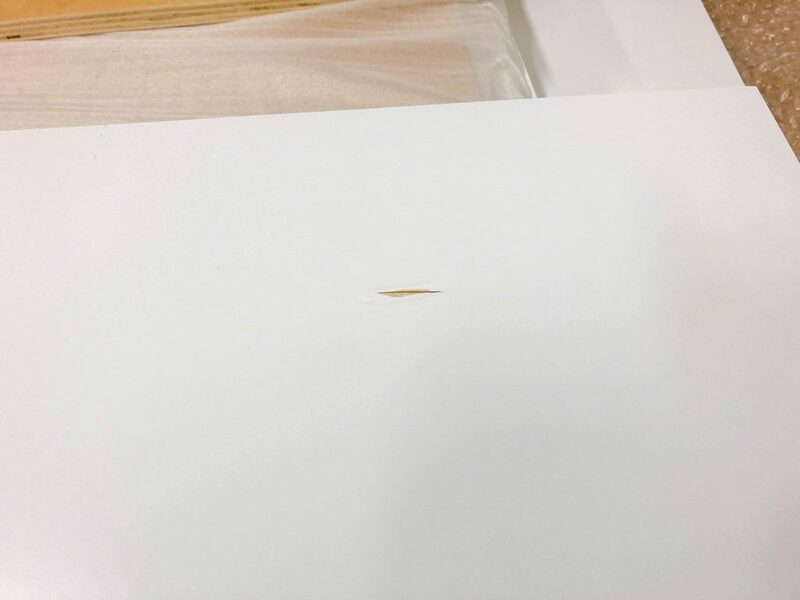 When I asked how can I tell the among the different shades of white for a potential cabinet, they replied with being able to send out a few samples free of charge so I can judge for myself. I did send an email with a few basic questions in the late morning and it took them almost the end of the day to respond. You’ll get a faster response by phone but I get a feeling that live chat is the best way to ask any questions. So while according to the Better Business Bureau, Kitchen Cabinet Depot has an “A” rating, there are only a few negative reviews and no positive reviews, which is not unusual since most people tend to make complaints to the BBB rather than leave glowing reviews. However, the KCD Yelp! review has the exact same negative comments (as in copy and pasted) so either BBB is sourcing from Yelp! or vice-versa. Plenty of great reviews about the company, but looked into the one or two-star reviews on the site. Many of those issues were about communication more than the product, which goes to show how important this is to many customers. As of the time of this review, the Arctic White Shaker is no longer available on the Kitchen Cabinet Depot business website. That already says a lot about this product and possibly that Kitchen Cabinet Depot is only willing to carry better quality products than this kitchen cabinet.